Teachers, this one is for you. Microsoft has announced the Kinect for Schools contest. They are giving away four (4) Xbox 360 + Kinect packages between now and May 14th, 2012. One (1) Xbox 360 Kinect 250GB Bundle. Approximate Retail Value (ARV) $399.00. Two (2) Kinect Video Games. Approximate Retail Value (ARV) $99.98. Games will be selected from the following titles: Dance Central, Body & Brain, or Sesame Street. If you’re a teacher and you want an Xbox 360 for your classroom this a great opportunity to enter and win. Team Note-Taker from Arizona State University was featured in an interview with the BBC and were introduced by Steve Ballmer, CEO of Microsoft. 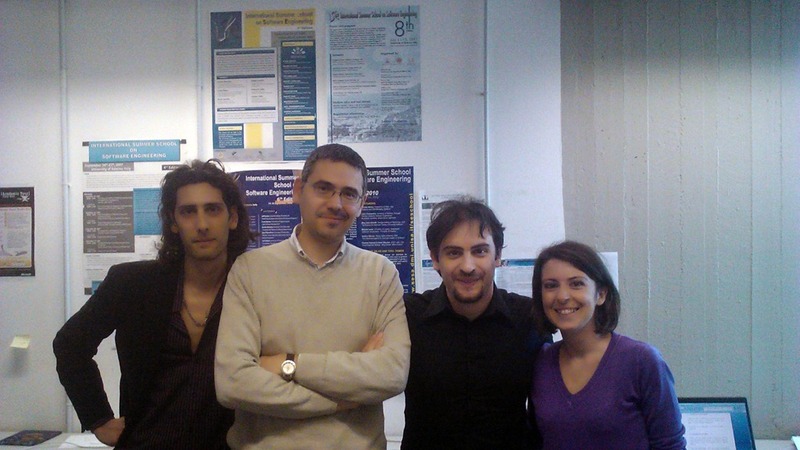 Today, I’d like to introduce you to Team NeaSoft from Italy, and their project OMCR. Team NeaSoft hails from Naples, Italy, and their team name means “New Software.” (Nea meaning “new” in Greek.) The team is lead by Clemente Giorio, a current Microsoft Student Partner, and is joined by Raffaele Galiero, Marta Ponari, and mentor Sergio Di Martino. Clemente and Raffaele are students at Università degli Studi di Napoli Federico II, and Marta is a student at Seconda Università degli Studi di Napoli. With over 16 million people in the European Union suffering from motor disabilities, Team NeaSoft is working to bridge the digital divide to enable these individuals to communicate, learn, and be entertained. OMCR (Oculorum Moto Computer Regere) aims to be a tool of expression for those with disabilities. Team NeaSoft is aiming to simplify the computing experience for those that currently do not have the ability to use a computer. For more on Team NeaSoft, stay tuned here, July 8th-13th, and join them on Facebook to keep up-to-date.